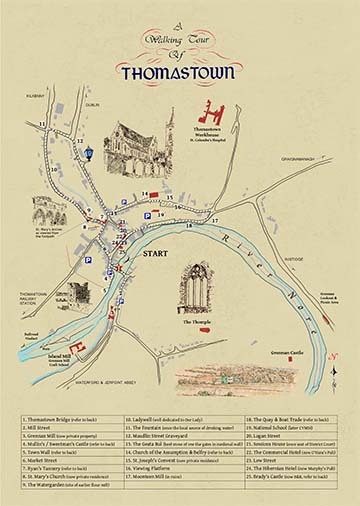 Take a trip back through almost 1,000 years of history with a walking tour of Thomastown, following the route suggested on the map you can download here. The tour starts by the bridge in town, and crosses a short distance to Grennan’s Mill on the south side of the river, before looping back northwards for a trail through the most historic parts of town. Highlights include the medieval town wall; the 15th century Sweetman’s Castle; and what remains of the ‘Thomple Thaeghawin’ (the Church of Grennan). The rear of our map leaflet provides a short guide to these and all other features along the route. You can download and print the map here, or else pick up a copy of it from most shops and other outlets in town. 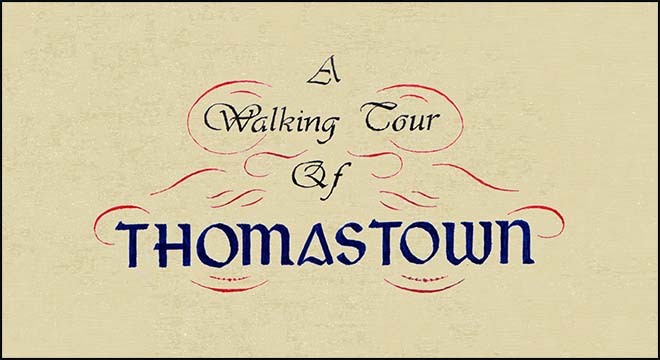 The walking tour is a great way for local people to get to know their town better – and a great way for visitors to make the most of their time in Thomastown.